Bank foreclosures for sale pushed house sales up and drove prices down in the Twin Cities of Minnesota in October, based on reports from realtor associations in the area. The average sales price for homes sold in the area fell to $169,000 in October, much lower than the average price of $180,000 during the same month last year. Because of the attractive prices, investors and home buyers were enticed to buy, pushing the number of home purchase agreements up by 34 percent from October last year and the number of completed sales up by nearly 28 percent. The lower price average resulted from the still high percentage of foreclosure sales and short sales in October, comprising nearly 39 percent of all purchase agreements. Realtors however are concerned about the drop in current listings and new listings in October. They said that the level of listings could signal a slowdown of the housing market. Active house listings decreased by 22 percent while new listings fell by nearly 11 percent. Rae Jean Malone, head of the Saint Paul Area Association of Realtors, said that buyers have been buying up bank foreclosures for sale and other properties in listings because they were rushing to beat the scheduled expiration of the federal tax credit and to take advantage of lower mortgage rates. Other realtors added that the expansion and extension of the federal tax credit scheme would further improve home sales in the coming months. 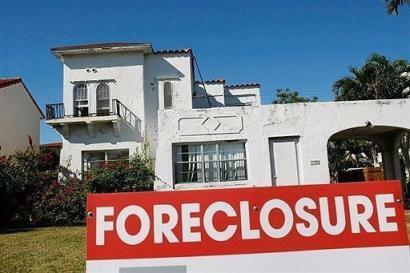 Malone said that home appraisals which considered foreclosure sales helped pushed prices down. Sales prices for non-foreclosed traditional homes dropped by 13.2 percent in October on a year-over-year basis while prices for foreclosed homes and distressed houses fell by 4.4 percent. The large number of prospective home buyers looking for homes in the price range of $200,000 to $250,000 also helped pushed prices down, as sellers adjusted their prices to be able to sell. Homes for sale stayed on the market for fewer days compared to last year, with units staying in listings for 128 days in October, down from 141 days in October last year. As the number of purchase offers increased, the discount rate for homes also decreased in October. Homes were sold for nearly 95 percent of their initial asking price, an increase from 91.3 percent in October 2008. Additionally, sales of bank foreclosures for sale continued to surpass short sales, as banks took a longer time in deciding whether to accept purchase bids that were much lower than the mortgage amounts.